Many of our dedicated occupational health centers are located on Kaiser Permanente hospital campuses, so it’s easy for your employees to take care of their health needs in one trip. 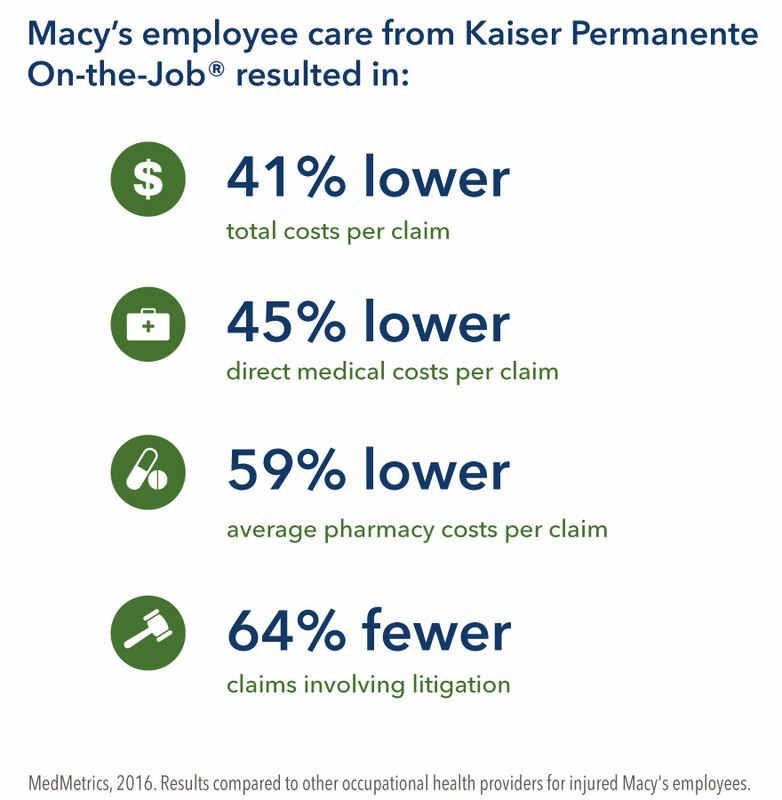 See how Kaiser Permanente On-the-Job® helped Macy`s reduce costs and quickly return their employees to good health. Get the support you need to comply with state and federal worksite regulations — or simply protect the long-term health of your employees and your business. Cost savings — Employees in our care get back to work faster and at a lower cost. 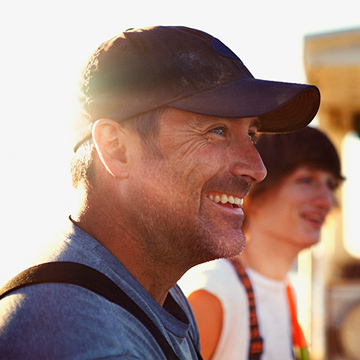 Available to all your employees — All of your employees, not just your Kaiser Permanente members, can access our occupational health services. Support for you throughout the process — You’ll get timely reports on employee work status, and we’ll work closely with you to coordinate your employees’ appropriate return to work. One-stop convenience — Nearly all of our centers are located in or near clinical facilities, offering convenient access to specialists, pharmacy, X-ray, physical therapy, and more. Advanced health information technology — Caregivers have real-time access to the electronic medical records of Kaiser Permanente members, helping them make quick, well-informed decisions that improve outcomes. Culturally responsive care — Members receive care that respects their diverse health beliefs, values, and behaviors, which helps to improve outcomes. Some plan options, products, and riders not available in all Kaiser Permanente areas.